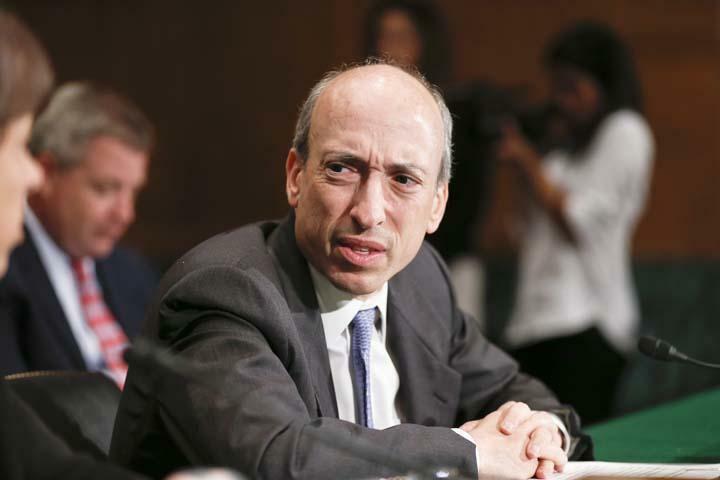 Gary Gensler is a hero to those who call for a crackdown on Wall Street. “Arch-enemy” to those who don’t. He’s leaving his top watchdog job, and sits with us for an exit interview. No top heads have rolled. No big banker sits in jail. America’s biggest banks – the "too big to fail brigade" – have not been broken up. But you had better believe there’s been a battle on since the Great Crash and Recession to try to clean up Wall Street. And the toughest battler of all in the Obama administration has been Gary Gensler. A onetime Goldman Sachs prodigy himself who helped undo regulation, then turned around to fight for it. He drives Wall Street crazy. After five years fighting, he’s on his way out. This hour On Point: Wall Street now and the exit interview with big fighter, Gary Gensler. Wall Street Journal: Gensler's Record: Achievements and Disappointments — "Mr. Gensler began his tenure amid an economic meltdown sparked in large part by the implosion of parts of the derivatives market. Large firms with complex ties to the financial system such as American International Group Inc. and Lehman Brothers Holdings Inc. suffered devastating losses on bad bets on derivatives, which nearly caused the financial system to collapse. The 2010 Dodd-Frank law was designed by Congress to ward off the threat of such a collapse by the meltdown of too-big-to-fail companies." Washington Post: Gary Gensler explains how financial reform is going — "On Oct. 2, the Commodity Futures Trading Commission (CFTC) oversaw the launch of 'swap execution facility' platforms. Called the 'future of derivatives trading' by Bloomberg, these platforms are the culmination of reforms in Dodd-Frank designed to bring price transparency to the opaque and dark over-the-counter derivatives market that helped cause the financial crisis. And, unlike the health-care exchanges in Obamacare, these electronic platforms launched without any notable problems." Bloomberg: Wall Street May Take Derivatives Regulator to Court — "The financial industry’s trade groups have consulted with lawyers about how to block Gensler’s final moves, according to four people briefed on the matter. A lawsuit would probably be focused on CFTC guidance issued in July that described when the agency should defer its rules in favor of regulations by foreign derivatives overseers, the people said. Gensler, 56, has fought a five-year battle with the industry over how to draw up a safer and more open marketplace for derivatives, the products that helped push the world economy to the precipice in 2008."